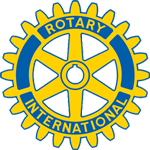 An annual scholarship was established by the Rotary Club of Lockport and the Lockport NY Rotary Foundation in memory of Norman W. Sinclair. 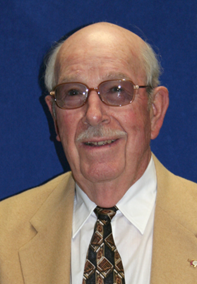 Mr. Sinclair was a long time Lockport Rotarian and past President of Lockport Savings Bank. He was a founding member of the NCCC Foundation of Niagara County Community College (NCCC) who dedicated more than 24 years of service, tirelessly fundraising to help make NCCC an exceptional institution of higher learning. This scholarship benefits students pursuing higher education at NCCC while recognizing in perpetuity the importance Mr.Sinclair placed on his relationship with the college and the significance of his contributions. This Endowed Scholarship Fund is to be awarded to an incoming NCCC student who is enrolled full-time, resides in the Lockport School District, and is a graduate of the district high school or a regional private or parochial high school. The recipient must be of good character, have scholastic achievements, and demonstrated participation and leadership in extracurricular and community activities. The Rotary Club vision for the NCCC scholarship in Norm Sinclair’s memory emerged from a strategic planning program conducted several years ago. Many Rotary Club past officers and the Lockport NY Rotary Foundation Officers have been committed to achieving this goal. It was with pleasure and pride that $10,000 was awarded to the NCCC Foundation to further sustain Mr. Sinclair’s Legacy. Niagara County Community College Foundation, Inc. is a New York not-for-profit corporation and sole repository for philanthropic contributions to support Niagara County Community College (NCCC). Lockport NY Rotary Foundation is a not-for-profit corporation supporting the Rotary Club of Lockport in its mission of to fulfill community needs and advance world peace and understanding through programs and projects to support health care, youth development, sustainable communities, and cultural exchange at the local, regional and international levels.